Helena Rubinstein (1872-1965), the great 20th-century cosmetics entrepreneur, changed the way women saw themselves, using her own remarkable life and spectacular art collections as a model. Rubinstein broke free from the constraints of her 19th-century, small-town, Polish Jewish background to become a giant of the beauty industry and an international household name. A key figure in the development of modern taste and style, she produced and marketed the means for ordinary women to assert their own individuality. Through her conception of the beauty salon as a place of modernist display, she empowered the modern woman to define herself through her choices in taste and decor. Helena Rubinstein: Beauty Is Power traces the path of this remarkable early feminist and visionary art patron. In Rubinstein's world, art and commerce blended seamlessly. 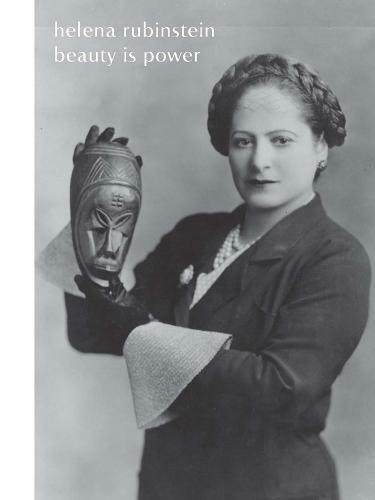 She ornamented her salons and homes with splendid artworks-Surrealist murals, modernist portraits, Art Deco furniture, Venetian mirrors, and one of the era's great collections of African and Oceanic art. Her understanding of beauty was similarly expansive and democratic: she saw the face as the site for self-expression and the exploration of identity. The Rubinstein beauty program thus included not only makeup and hairdressing, but also lessons in health, deportment, and culture. Such features, innovative at the time and wildly popular, today provide a fascinating glimpse into popular culture as it affected women in the 20th century.